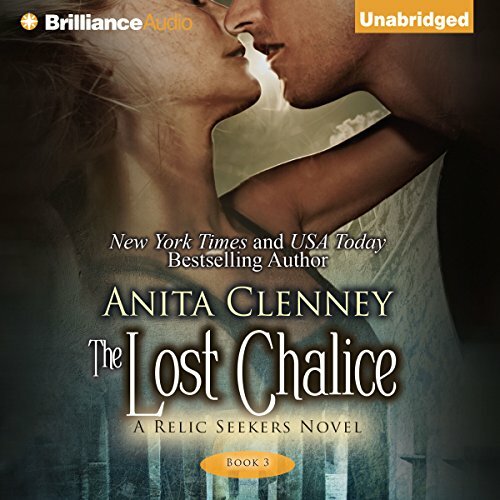 Showing results by author "Anita Clenney"
Relic hunter and archaeology expert Kendall Morgan has a lot on her mind. After finding the Fountain of Youth - and discovering that Nathan, her handsome billionaire boss, might actually be her long-lost childhood love - she could really use some time to think. Except a two-thousand-year-old Protettori guardian has just teleported into her bathroom, desperate for help. Kendall Morgan puts her sixth sense back to work in the second audiobook of the Relic Seekers series, divining the history and location of ancient relics. Her boss, gorgeous billionaire Nathan Larraby, sends her to Italy to safeguard a priceless treasure belonging to the Protettori, an ancient order of monks who guard four powerful relics. Brave, beautiful, and haunted by her past, demon hunter Anna MacKinley will do anything to help the Connors. Under divine orders, the headstrong warrior travels the world, slaying demons and vampires. When she stumbles upon a hidden stone fortress while searching for her clan’s lost Book of Battles, dark forces swiftly imprison her - and she discovers her cell mate is a gorgeous Scottish warrior who has no memories, but looks strikingly familiar. Historian Bree Kirkland has always been in love with the past, but when she accidentally wakes an ancient Scottish warrior who's spent the past 150 years sleeping in her backyard, her present is suddenly fraught with danger. Faelan has awakened from his time travel and he's ravenous - in more ways than one. He grieves for his lost family, wondering who sent the woman to wake him. If she's a demon, he will have to kill her. If she's innocent, she's unleashed the gates of hell in her backyard. Either way, they must rely on each other to save their future. Totally NEW twist, nothing else like it!!! !